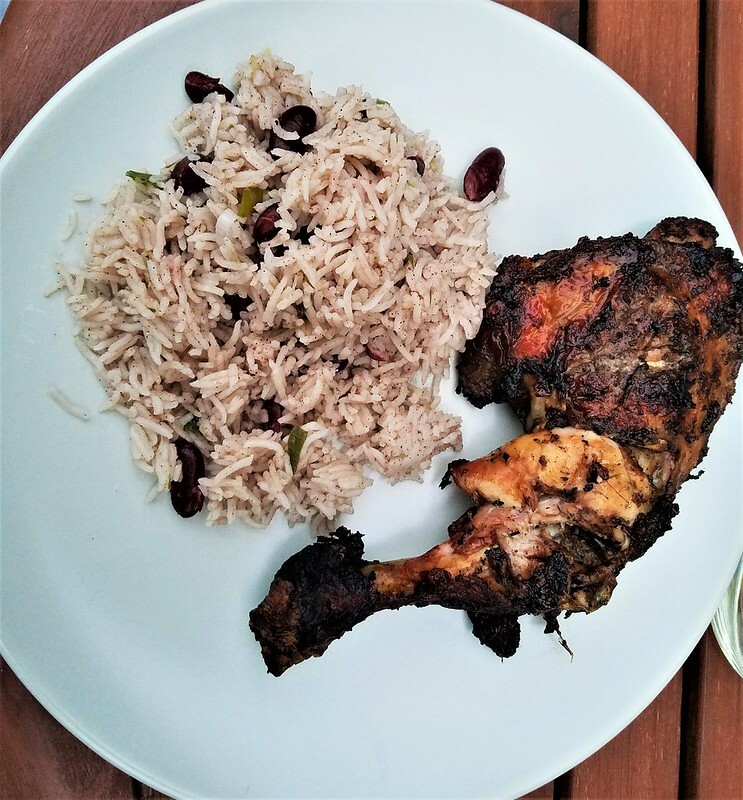 My recent visit to Carribean festival inspired me to explore Carribean cookings. 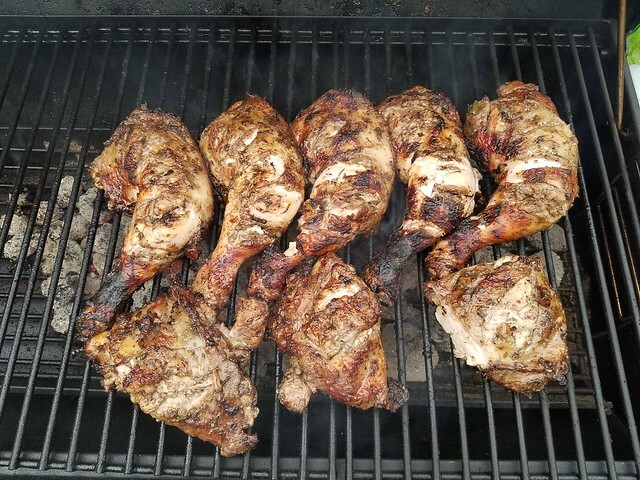 What else could be best to try other than Jerk chicken. This recipe is for 6 adults and a toddler. Portions were adequate for dinner. I marinated chicken for 24 hours but it can be done for at least 2 hours to get the authentic flavour. Clean and cut the legs as shown below such that spices can penetrate inside. Boil rum and water in the saucepan for a minute. Pour liquid into mixing jar. 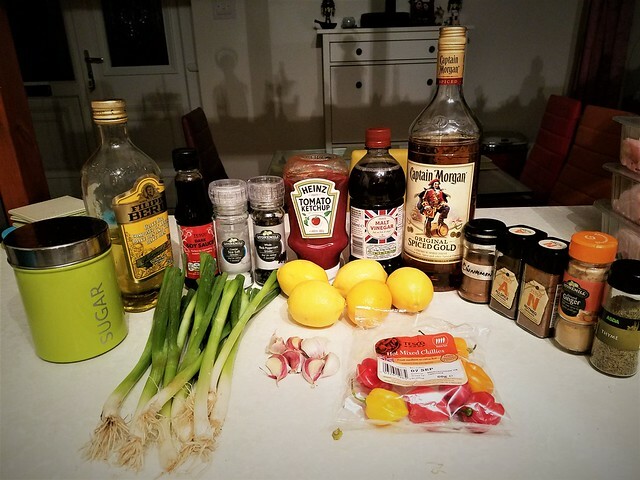 Add all ingredients under ‘Marinade’ section. 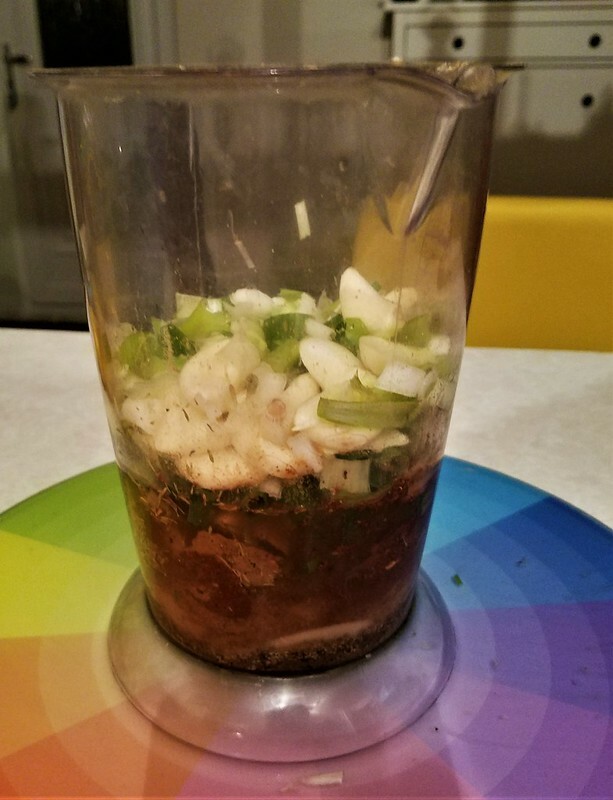 Blend all ingredients well. I was concerned that Habanero is too strong for some of us, hence I decided to add chilli after taking out marinade from the jar. I made two marinades, one with chilli and one without. Take extra care to handle chilli, I used gloves in case if I touch any thing sensitive areas. I suggest not to touch any other objects until you finish with Chilli. Wash hands thoroughly after preparation is over. I felt the kick just by touching chilli by finger to get a taste. 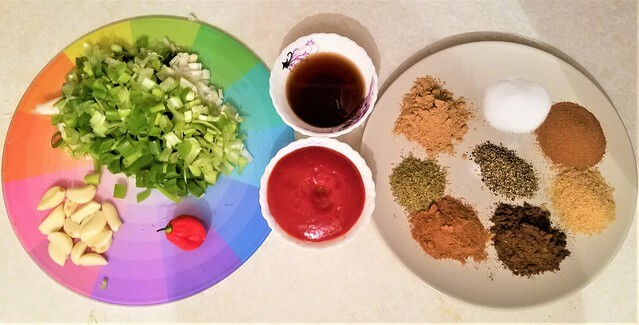 Take 4 table spoons of marinade out and add to Ketchup, add Soy sauce and stir it well. 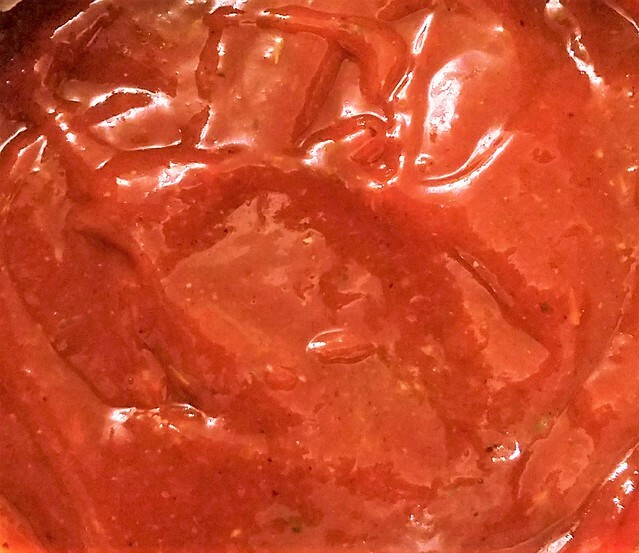 The sauce is now ready. Pour all lime juice in Chicken, massage it well. Add marinade to the mixing bowl. 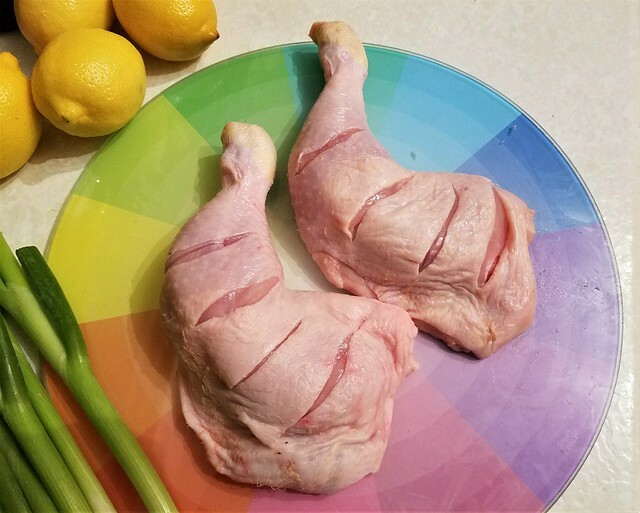 Mix marinade and chicken in such way that every corner and the cracks in the chicken are filled. Cover bowl with cling film and put it in the fridge for 24 hours. I prepared this in a day advance. I cooked chicken on the BBQ on a medium heat for 45 minutes. The temperature was between 200 – 250 degrees centigrade. 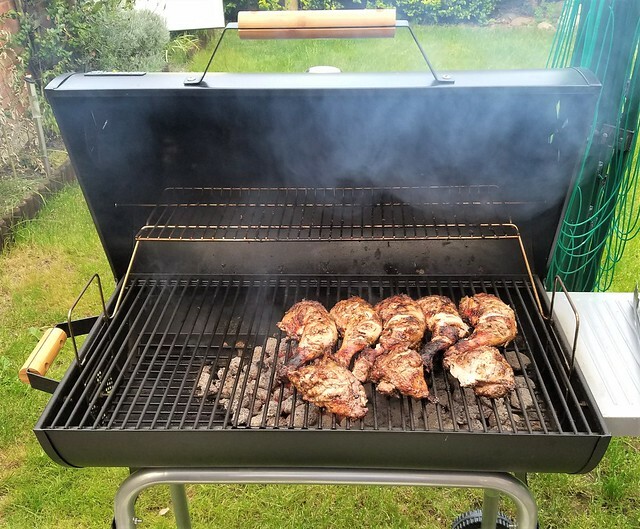 Try to keep the highest distance between Chicken and Charcoal to cook slowly. Cover BBQ lid, which helps to build moisture in. 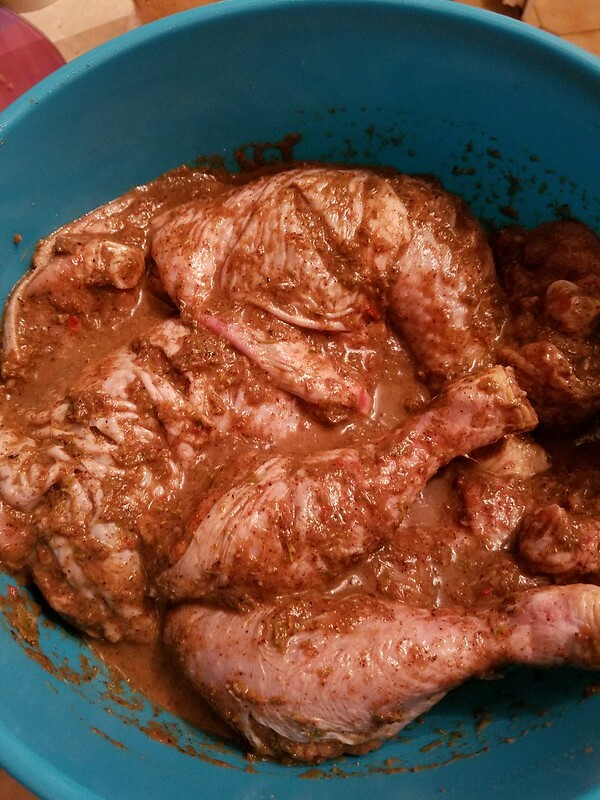 Use sauce as a dip for the chicken.